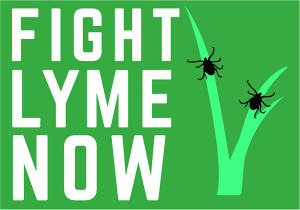 The Fight Lyme Now campaign continued to gather momentum and almost 1000 patients have now participated in the MP endorsed patient survey. Dr Chris Newton and Demetrios Loukas appeared on BBC Breakfast to talk about the campaign in more detail and group members shared their stories and drew attention to the campaign on radio stations around the country. Lyme Disease UK and the charity Lyme Disease Action took part in a Q&A exercise to try and address numerous differences between patients and the charity. The final document can be found here. LDUK group member Veronica Hughes has been appointed CEO of philanthropist and business man John Caudwell’s new Lyme disease charity, Caudwell Lyme Disease. Congratulations Veronica! LDUK members have been avidly completing the Caudwell Lyme Disease patient surveys, sharing their case studies and submitting photos documenting their Lyme disease battles. We are really grateful that LDUK features on the charity website. We wish Caudwell Lyme Disease all the best and thank you for giving patients in this country a voice! LDUK was invited to register as stakeholders in the NICE Lyme disease guideline writing process. The guidelines are due to be published in 2018. We attended a scoping workshop and submitted comments on the draft scope which were then published along with the final scope. These documents can be read here. Some of our members associated with other Lyme disease organisations and charities and also submitted comments as separate stakeholders so we hope that patient experience is accurately represented in the process. New charity Vis a Vis Symposiums set up by LDUK members launched. We look forward to many educational events in the future and wish the charity lots of good luck with fundraising. LymeAid UK, a charity established by LDUK members which provides grants for private Lyme disease testing, received its registration as an official charity. Congratulations! Singer/songwriter Ren Gill launched his album ‘Freckled Angels’, despite battling Lyme disease. LDUK group members continued to bravely share their stories in the media. LDUK group members helped to collect over 10,000 signatures for a parliamentary petition which now requires a response from the government. Many group members took part in a multimedia project, ‘In My Blood’ which was created by student journalists at Goldsmiths, University of London. Group members worked hard to collect stories on behalf of people too sick to attend the protest and created leaflets and posters for the event. Many members attended the protests in Bath and London and the 2016 events generated more media coverage than ever before. Rollo Skinner filmed interviews with Lyme disease patients and created a powerful short film. LDUK group member Emma Dolan Horlock and friends created an awareness video on Youtube, adding a Lyme disease twist to a Bob Dylan song. LDUK was invited to host a table at the third in the AONM series of conferences, ‘Lifting the Veil’ and ran its first successful fundraiser to purchase some banners, leaflets and other awareness materials. We are so grateful to everyone who generously donated to help spread the word about the work we do. LDUK group member Kellie Maher spearheaded a campaign, ‘About Time for Lyme’ with a large group of friends who took part in the obstacle race, Rough Runner. The team have been spreading awareness in the media and raised over £4000 for the charity LymeAid UK. They also launched an accompanying website. LDUK members prepared a collective response to the government statement issued following the Lyme disease petition which generated over 1000 signatures. Jackie Elwin presented on behalf of LDUK at the NHS Sussex Community Foundation Trust Annual Infection Control and Prevention conference in Billingshurst. LDUK group member, singer/songwriter and vocal coach Rico Franchi launched his charity single ‘Getting Better’ from his album ‘Auditory Dreams.’ 50% the sales of the single are going to Caudwell Lyme Disease and LDUK group members shared and downloaded the single to help Rico chart on iTunes in the singer/songwriter category and raise money for a great cause at the same time. LDUK members took part in widespread media coverage of Lyme disease around the country as the Big Tick Project results were announced and naturalist and TV presenter Chris Packham gave free talks on Wimbledon Common. LDUK group member Deb organised an MP drop-in meeting on 6th September at Portcullis House to bring together MPs and Lyme disease sufferers and their loved ones to discuss raising awareness and fighting for change. LDUK was nominated for the WEGO Health Activist Awards 2016 in the Best In Show: Community of Forum category! Model Michelle De Feo created an awareness campaign involving Front magazine, models, photographers and make-up artists. World renowned chefs Kirk Haworth and Nelly Robinson held two charity dinners in Australia and the UK to raise money for LymeAid UK and Vis a Vis Symposiums as well as an Australian Lyme disease charity. LDUK member James Pembroke created a compelling documentary , ‘Living with Lyme Disease’ which also featured other group members, doctors and scientists..